Multiple sclerosis (MS) is a disease of the central nervous system that impacts each person in a unique way. It’s often called a designer or boutique disease because no two people living with the illness have exactly the same presentation of symptoms. The most common form of MS has periods of relapses followed by periods of recovery. However, as time goes on disability accumulates. Some of the greatest challenges faced by those living with MS come from invisible symptoms such as pain, cognitive concerns, and severe fatigue. It's hard to accurately follow my weight at home so I reached out to Smart Weigh and they sent me a complimentary Silver Digital Memory Scale just for sharing my results with everyone. I want to thank them for that! 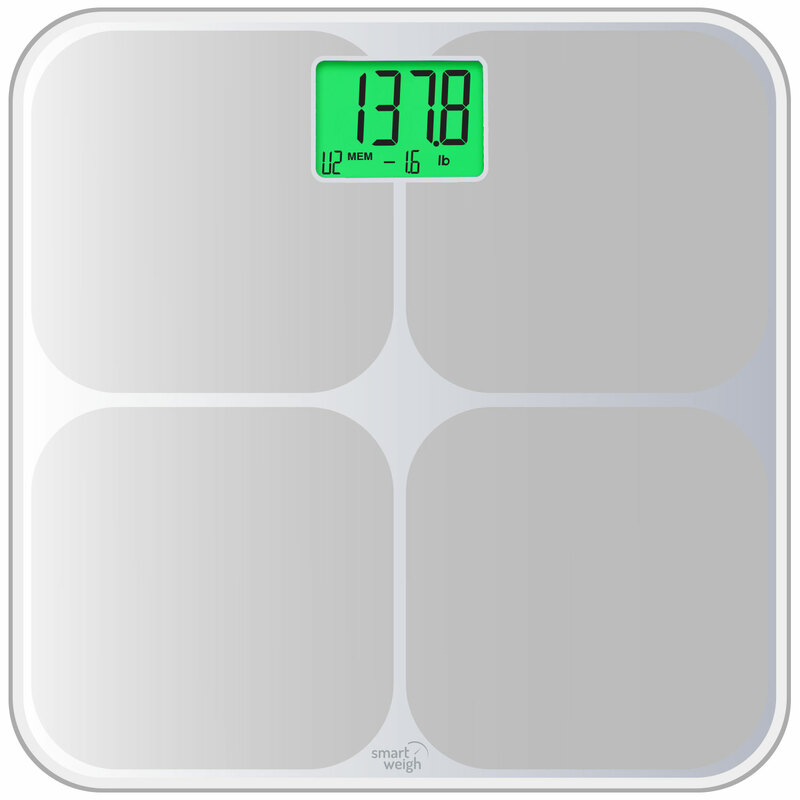 The Silver Digital Memory Scale by Smart Weigh was truly SIMPLE to use. It even tracks my information separately from every other person (up to eight people) in the house! Even though everyone has a profile, thanks to the privacy LCD panel, I can weigh myself right in front of you and you won't be able to read my screen, Only the person on the scale has an accurate view of what is being projected. AND it works right out of the box with NO SET UP! The Smart Weigh SMS500 is the perfect match for what you have been seeking in a memory scale and its advanced step-on technology makes using a scale easier than ever before. Simply step on and receive your precise readings immediately. No set up is needed and you can be on your way to tracking your weight in no time. That's easy because it knows you! In addition to its ease of use, it features an incredible auto recognition functionality that utilizes memory to store and recall the information of up to eight user profiles. That's right, eight users! This is the decisive solution for health, wellness tracking and weight loss, as it differentiates between measurements every time you step on this scale. It will tell you whether you have gained weight or lost it and its large LED display will light up with a color in accordance. Red if you've gained weight and green if you have lost weight, or seen no weight gain. Tracking your results could not be simpler. What sets Smart Weigh apart from everyone else is the advanced sensor technology featured in this scale. It ensures the scales are one of the most accurate on the market. 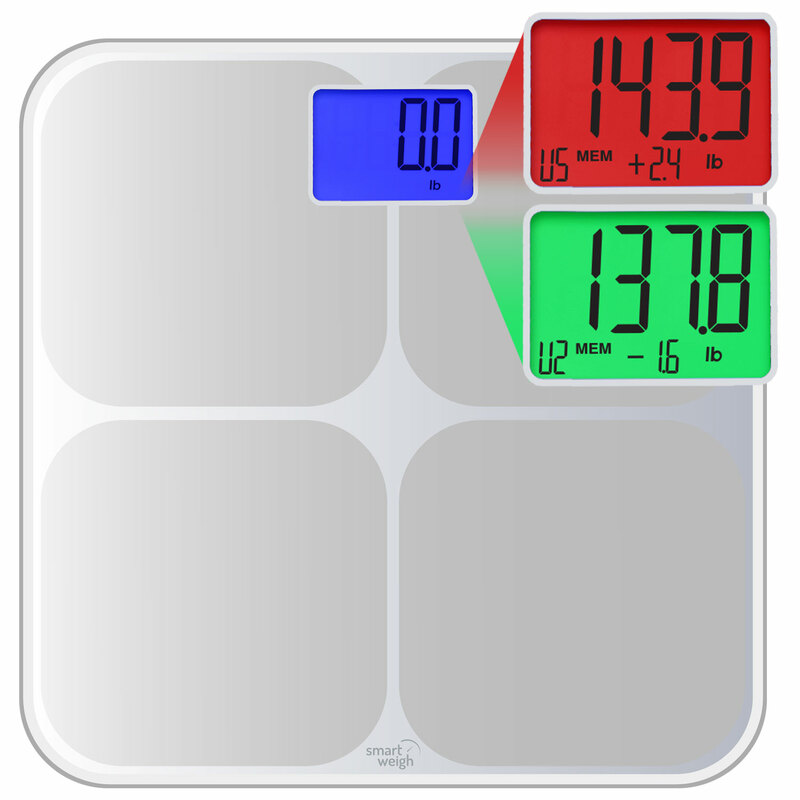 SmartWeigh uses precision mechanics and components that will alert you if your scale has been moved or needs to be recalibrated. This further enforces the benefit of the innovation and accuracy found within a Smart Weigh scale. The SMS500 records measurements in lbs. and oz. and has a very high capacity, 440 lbs.! It uses 4 AAA batteries and includes a two-year manufacturer's warranty.